Qatar: Surely, the final straw? 3 Comments on Qatar: Surely, the final straw? THERE are more important things than football to be concerned about today, but with Qatar’s isolation from its neighbours and questions being asked about the country’s role in backing terrorism, the future of the 2022 World Cup comes into focus once more. Let’s be frank, the decision to award Qatar the World Cup was ludicrous. Against a backdrop of alleged bribery and corruption, FIFA made a poor choice. Notwithstanding human rights, rumours of exploitation of migrant workers and the climate, Qatar is now linked to the biggest problem of our times. FIFA has to act now and reassign the 2022 World Cup. It could be a win-win for FIFA if they are decisive and unafraid of the consequences. From a reputational point of view, taking the competition away from Qatar can help repair some of the damage that has been self-inflicted upon football’s governing body. More importantly, with the world very tense and preoccupied with security, it would lend itself to the global effort to squeeze the life out of terrorism. FIFA would do the right thing and reconnect with its core territories. That does not mean playing into the hands of the US and awarding them the 2022 competition. It is not quite a dead-cert that the US/Mexico/Canada will get the bloated 2026 fiasco, so let’s leave it at that. Take the 2022 back to the heartland of football – Europe. With the region starting to recover economically, why not make it a combined France-Germany production – or even the UK? The stadiums are in place, the infrastructure is good, they are all football nations with a rich heritage and there’s another consideration – they – like other European nations – have suffered from the very terrorism that is blighting Qatar’s name. The more we think about 2022, the more it seems ridiculous that a country as small and, from a climatic perspective, inhospitable, should be hosting such a major global event. There’s a reason that football in Europe is played in the late summer, autumn and winter – because it is not a game for sub-tropical weather. In 1970, everyone was worried about the Mexico World Cup because of high altitude and searing heat – it became a major concern. 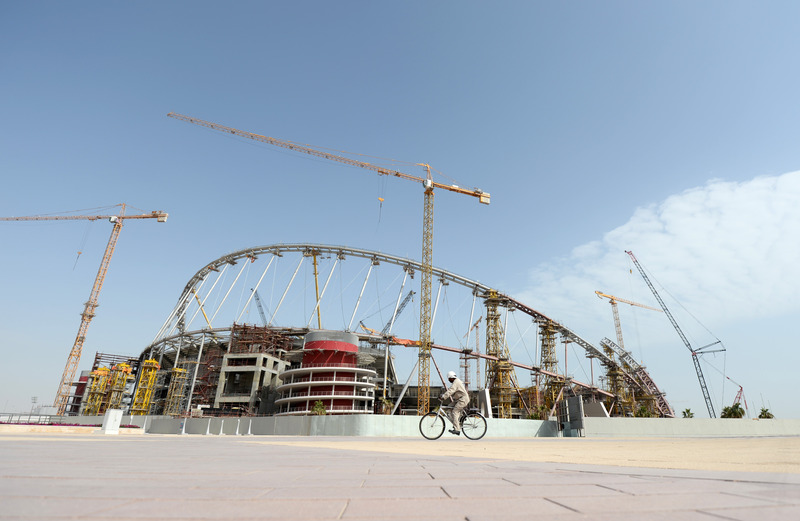 The response to misgivings about the Qatar climate is to make the 2022 competition a winter event, which disrupts the entire world football calendar. That’s relatively unimportant compared to the bigger issue of terrorism. There may be five years until the 2022 World Cup, but Qatar should not only be removed from their hosting status, FIFA should be considering their suspension. Where that might leave football clubs that benefit from financial support from the country – such as Paris St. Germain – is another issue. Will they act? If FIFA wants to regain any trust and respect, it has to take the 2022 World Cup elsewhere. We are in an age where it pays to take precautions. If Qatar is found to be innocent, we will all apologise, but until such a time, international events like World Cups – and the financial benefits they may bring – should not be gifted to a country people are now distancing themselves from. Do you not think that Southern American countries could also be equally as good candidates for the 2022 cup hosts? What makes Europe the primary choice in your opinion over, say, Argentina? Brazil just had it – Argentina or Mexico could host it, but knowing the region as I do, projects take time in that part of the world. It was just a suggestion – and bearing in mind that, Russia aside, the next European competition could be as far away as 2030? Fair point. Thanks for the response.